Once you discover eManager you'll wonder how you did without it. Smart Apps will help you organise, achieve, evidence, and improve. eManager is a Windows desktop software that uses Apps to make tasks simpler. These SmartApps will help you to check safety and general compliance measures; monitor progress; involve staff as a unified team; and even record minutes of meetings. 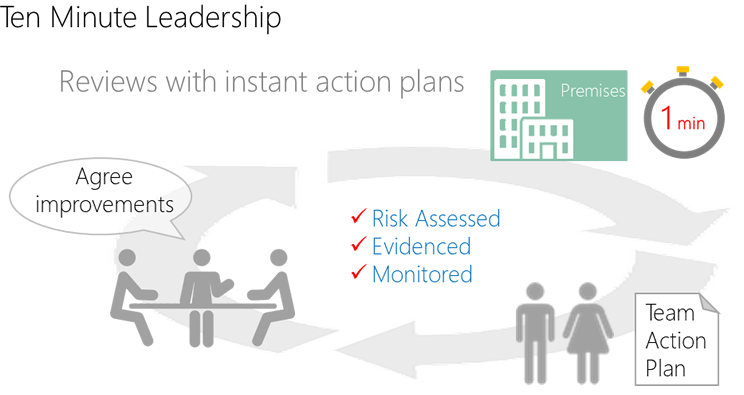 You will be able to demonstrate that you have an organised approach to regular monitoring with full involvement of staff, and good overview of safety management in your organisation. The Apps are designed to take just 1 minute per Apps, so you can do a quick review, a quick team discussion, and agree outcomes. Breaking the tasks down in this way enables you to tackle a different area every week, rather than one big safety review, which not only makes doing this a lot easier, but also means that you can demonstrate continuous monitoring 365 days. You will easily be able to demonstrate a culture where all team members feel involved and their opinions and input appreciated.